Grand Forks, ND, May 2017 – Pete Larson, owner of River Cruise Guru and Jolly Mon Vacations completed a specialized training program and is now certified as an Adventurist with UnCruise Adventures. The line offers adventure cruises aboard boutique yachts and small ships in Southeast Alaska, Hawaiian Islands, Mexico’s Sea of Cortés, Columbia & Snake Rivers, coastal Washington, British Columbia, Costa Rica, Panamá, and Galápagos Islands. To join the Adventurist Club, travel agents participate in a series of online tutorials and pass an online exam. The Adventurist program details the nuances of UnCruise Adventures’ inclusive small ship adventure and river cruises along with destination information. UnCruise Adventures offers an alternative to traditional cruising by taking travelers into areas that are not accessible to larger ships and on activities that focus on the wilderness, wildlife and culture in each destination. Seven adventure vessels offer opportunities for outdoor activities including kayaking, hiking, snorkeling, skiff explorations, stand-up paddle-boarding and whale watching. One replica coastal steamer offers river cruising with an eye on history and included shoreside tours to points of historical interest. UnCruise Adventures’ yachts and small ships carry 22-88 guests on voyages in Alaska, Hawaiian Islands, Mexico’s Sea of Cortés, Columbia & Snake Rivers, coastal Washington, British Columbia, Costa Rica, Panamá and the Galápagos Islands. 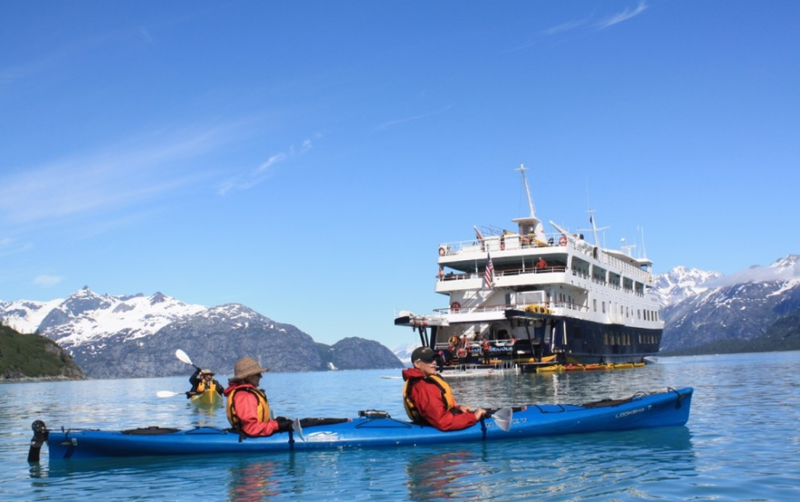 Un-Cruise Adventures, under the parent company of InnerSea Discoveries Alaska Inc., is a member of Trusted Adventures, dedicated to the highest standards of small-group travel and to giving back to the places visited. © 2018, Jolly Mon Vacations. All Rights Reserved.